Don't worry, I haven't written a sonnet for you today. I am, however, going to use my blog experience to try and help you get some more eyes on your blog - if you have one. If not, well, maybe one day when you start one? For the last month or so, beginning with the impending one-year anniversary of this blog coupled with the start of a new calendar year and culminating, last week, with the Pet Blogger Challenge, I've been more introspective than usual, prompting a whole slew of personal questions about the future of the blog: Can I (and why should I) keep up the grueling five-day-a-week pace (of posting and keeping up with way too many other blogs)? If it's too much, how do I cut back? How do I keep it fun without becoming redundant? Who the heck really cares - other than me - anyway? Can you say "too much introspection can make 'Jane' a very anxious girl"? Wanna know what I say? FOR THE LOVE OF PETE, IF YOU'RE PRONE TO BOUTS OF OVER-THINKING, DON'T START YOUR BLOG RIGHT BEFORE THE NEW YEAR! Okay, joking aside, I've been struggling with "my purpose" so much lately that I'm having trouble mustering the will to write anything, and that's bad. So I'm resorting to the one tried and true way I know to divert my eyes off of myself, and that's to help someone else. In this case, "someone else" would be all the new or inexperienced (relative to me) bloggers who are reading this post. I have 163 Google feed (RSS) subscribers* (to my blog posts). 16 people subscribe to posts by e-mail. I've had over 52,000 page views as of this writing. My daily page view count doubled from September to October, about the same time I started using Twitter. My Google Page Rank is 3. 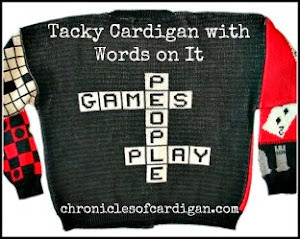 "Chroniclesofcardigan.blogspot.com is ranked #535,721 in the world according to the three-month Alexa traffic rankings. Its visitors view 2.7 unique pages each day on average, and almost all visitors to this site come from the US, where it has attained a traffic rank of 76,023. The time spent in a typical visit to Chroniclesofcardigan.blogspot.com is about sixteen minutes, with two minutes spent on each pageview. It is relatively popular among users in the cities of Richmond-Petersburg (where it is ranked #543) and Seattle-Tacoma (#12,504)." My #1 referring site and URL is Google.com. My #2 referring site is Facebook.com. My #2 referring URL is a virtual tie between thedailycorgi.blogspot.com and elyancardigans.blogspot.com. I have 2,699 published comments. *RSS subscribers include, but are not limited to, Google Friend Connect "followers." I obtained my subscriber information from Google Reader and Google Webmaster. Make sure your blog feed is public (not private), which means search engines can crawl it. Add "searchable" labels to all your posts. This will not only help people search your archives, but can help search engines find your content, too. Send someone you know your blog address and beg ask them to read it. Find, read and comment on other similar blogs (in my case, it was other Cardigan Corgi blogs, namely one, Life with The Horde, in which case, upon the author stumbling upon this site, I had the supreme fortune of having my blog name and address broadcast to her entire readership and added to her blogroll). Post quality content often (in my case, back then, it was every day). Encourage commenting on your posts. By encourage I mean: ask open-ended questions, write about something thought-provoking, incredibly shocking ridiculous (okay maybe not that) and reply to commenters when possible. Leave thoughtful comments on other blogs and add these blogs to your blogroll. Join a blog hop(s). 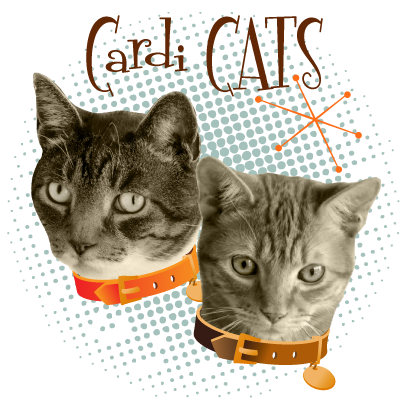 I linked up to the Saturday Pet Blogger Hop for the first time in mid-February. I met LOTS of new people on my first few "hops." 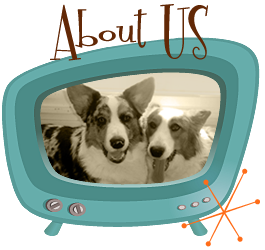 This is also when my readership grew from a mainly Cardigan Corgi niche to a more encompassing dog blog niche. In spite of how much you might hate it, create a Facebook fan page and install a widget on your blog. Mine was born on March 3. I wanted to make it easy for people - who might prefer Facebook to blog comments - to interact with me. I have been rewarded with 146 "people" and 20 "page" fans. I love my Facebook friends. If someone asks you to, write a guest post for her (or his) blog. I've done it four times, on three blogs. Share the link love and link up to some of your favorite blogs from within your blog posts, particularly if you've been inspired by another's work. The summer is a natural time to hit a posting rut. Push though it anyway. Leave thoughtful comments on other blogs and add blogs to your blogroll. 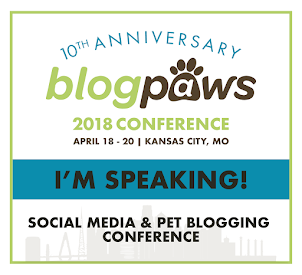 Go to the pet blogging conference, BlogPaws, if you can. There is nothing more rewarding than to meet your blog friends (and make new blog friends) in person. So this - at a high level - is how I've helped people find this blog. However, aside from posting quality content often (which is far and away the most important thing of all), making people want to read more than half a post, subscribe and/or keep coming back for more is another story altogether. And lucky for us, one that I'm saving for another day. Hope this helped...someone...even just a little bit. P.S. I will gladly answer any questions! P.P.S. I've got more parts to show you! And that is why I am and always will be a small (oops! boutique) blog. So much work. I think I'll go rest now. You're very kind to share though. I think I'll go look at body parts now. P.S. You're making me very jealous but I'm still too lazy to do anything about it. Do you have any tips on overcoming blog inertia? Whew! I'm exhausted just reading all the work you have done to promote yourself! Like Georgia Little Pea, I think I will continue to toil in obscurity....I don't have the hours all that must have taken! Peggy - I'd have sailed into the sunset last summer if not for you, I think. You're right about needing an outlet - it's easy to forget one's objective, though, with all the "pressure" to grow, grow, grow! I'm working on getting my perspective back. As always, I treasure your encouragement. Weird that two of my blogs are verified and the one I originally started with is not by the Google Webmaster. Very confusing when I tried to verify it. I'll bookmark your info and try later. Sometimes the three blogs is a lot to take care of so I can't imagine how having lots of readers and finding the time to read and write would get done. Ellen, I just recently found Webmaster, so I'm no help there. Hope you figured the one blog out. whew. i did not realize how much work actually goes into this. i just started blogging by accident really. good thing there are experts - yes you can say that - to help us newbies out. thanks....still so much to learn! 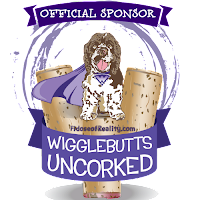 Scrappy - You were born to do this blog stuff; look how far you've come in just a short time! Good article - and I see it's been tweeted a lot today too. Thanks, Winnie in the UK. :) I just wanted to give a first-hand account (since many articles out there are not). Very good advice. I have been thinking about facebook, but that just makes me tired....lol. 2 brown dawgs - You might be surprised about Facebook. I was skeptical (seriously - I don't even like personal Facebook), but it's been great. I'm really excited to hear more! I'm a pretty thoughtless blogger. I love reading other blogs and sharing pictures, but I feel like everything I have to blog about has been blogged before. I'm feeling refreshed- thanks for the advice! Of PB and P - You are SO FAR from being a thoughtless blogger. Seriously? 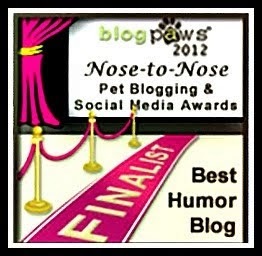 You have one of the most entertaining and informative blogs out there. Please, keep it going! 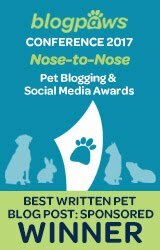 You left out the part about having a natural knack for writing very amusing posts (oh, and having absolutely adorable dogs with awesome personalities!). Thanks, Julie. :) I work very hard to be naturally amusing, but being a smart as* comes easily. I'm still laughing at Georgia Little Pea's comment. I can understand what she means about too much work. Great advice though. I have done all these things and my blog continues to grow. 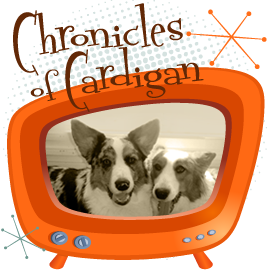 I think sometimes having a niche blog is good (like Cardigan Corgis), but it can make writing new content all of the time trying at times. I have also started cutting back on weekends because I found myself spending more time trying to blog and read everyone else's blogs that I had no time to do anything else. Glad I got to read your post. Wishing you an even more successful year in 2012! Thanks for the note, Mel. 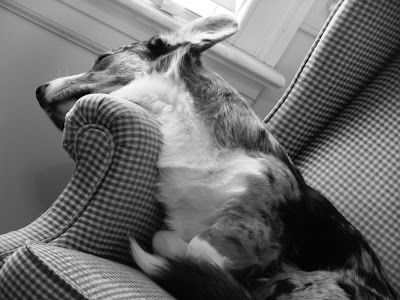 :) Reading this post makes me just as tired as GLP's Typist! It's exhausting sometimes, this blogging stuff. Your blog is a great read (and you are an awesome networker), that is why your blog is growing. Best to you in 2012, too! Here's to looking onward and outward! I don't think I had seen this post from you before...or if I did I forgot :) It's funny to me that you say summer is the time of falling into a blogging rut. Because our blog is about hiking and being active outdoors, summer is the time of the shallowest rut for us. The problem then becomes finding the time to write because we are spending too much time pursuing our adventures.